DHLA: Why the 'Somethin Brown' ? SB: Ha! Interesting one. First I’m inclined to mention that it is “Sumthin Brown”, without the O, the E and certainly without the G: the misspelling is deliberate. Sumthin Brown is a name I came up with around 2010 when I was still a budding guitarist. I always imagined that it is what I would call myself as a musician. However, when I started collecting and mixing, I decided to use the name to this particular end. 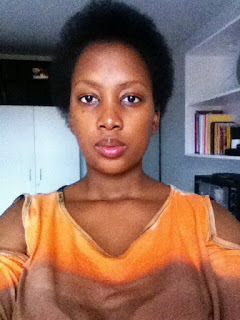 It is really just about me acknowledging, celebrating and owning my skin tone. I am brown. Something brown. DHLA: How has pursuing Media Studies enhanced your package as a collector and DJ? SB: Not much actually. My Media Studies background doesn’t factor at all. I even forget that it was one of my majors. DHLA: How did the Ashmed Hour #59 feature come about? Would you say that was your turning point? SB: Believe it or not, I wasn’t anywhere remotely close to being known (least of all as a DJ) when I was featured on the Ashmed Hour. I was simply Bonolo with a cute little mix that I badly wanted to put out there. I can safely say the response I got from the feature encouraged me to continue, and see how far everything goes. Being featured was certainly the beginning of something new and exciting in my life. SB: Definitely. Without a doubt. I think music is a part of everybody’s upbringing, particularly in the townships where music is a way of unwinding, escaping the stresses of life and the pressures brought about by the rat-race. DHLA: Your view of the current underground scene? SB: Haha, oh boy! Well, it is growing, that’s for sure. Highly concentrated with more new players coming into the scene. I do, however, think that with much concentration comes politics. Too many egos, too many know-it-all(s), and too many vinyl vs digital debates – it’s exhausting and very much unnecessary. Hopefully we will all reach a point where we re-centre the music, and go back to what the game is truly about: that is converging as collectors and lovers of music (in whichever format), and sharing beautiful sounds with the world without fear or favour. DHLA: Your top 5 tracks on your player right now. 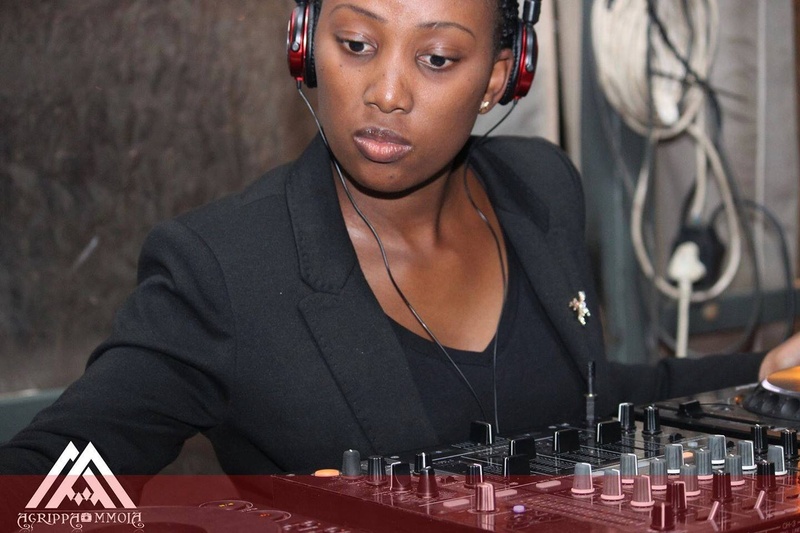 DHLA: What would you say sets you apart from any female DJ out there? SB: I think the fact that I’m unpredictable. I could show up at one gig and play Bruk; show up at another and play Funk. It is both my Achilles Heel and Saving Grace, if you catch my drift. DHLA: You come across as very grounded, who would you credit that to? SB: Haha, that’s flattering. I doubt many would agree with you on that one. Well, I’ve failed many times and have had to re-group as a result. I’ve made some decisions that affected my brand negatively in the past; so I guess these experiences remind me that I’m human and that I’m not (and never will be) bigger than the music. DHLA: Any chance of seeing you behind the mic or venturing into production? SB: Absolutely no mic for me, LOL! My vocal chords are disastrous. Production is a BIG maybe, for now. Time reveals all things. DHLA: On a different publication, you spoke of crowds wanting to associate DJs with a point of reference, instead of enjoying the set. Break it down for us. SB: Goodness. The ghetto child in me just went “YHO! !” right now, haha. I vaguely recall speaking about how people have become more obsessed with spinners and whom they are associated with (and how they can benefit from that association) than they are about the music. This pattern breeds contempt among the spinners themselves and for the scene as well. It also discourages a culture of bringing new players in the game – giving them a platform to offer something new and different. Why? Because nobody wants to take out their money for something new, something that will not give them 300 Facebook, Instagram, Twitter likes, something that will not give them popularity. It is also partly why almost every gig in town recycles spinners. It is the same thing over and over again. All because people are resistant to change, or because spinners and promoters refuse to pass the baton. They would much rather monopolise the space. DHLA: What goes into a 'Sumthin Brown' set? SB: A lot of preparation, particularly on track selection. DHLA: If you were to judge a DJ competition, what would you score the DJs on? SB: Definitely the music they play, and how people react to it. Thiwe, for example? Or do things get Jozified when one gets here? SB: Haha, yes. Things got extremely Jozified for me once I moved. I was 18 years old when I moved to JHB, so I didn’t know any Thiwes then. DHLA: You are also a Funk and Disco music collector: how does this influence your music sets? SB: The genres mentioned are the two most common denominators in pretty much all my sets. DHLA: Do you feel guys are genuine in their quests to 'elevate' female DJs? SB: Some are genuine. Some are not. One simply has to discern who is and who is not. DHLA: Your top 3 vocalists at the moment? DHLA: Which are the 2 dance music record Labels that you would say created those signature tunes that are embedded in our DNA? DHLA: If you are not behind the decks, what do you get up to? Work and school. That’s pretty much my life. DHLA: What should we look out for from you this year? SB: Definitely more groundwork from me. This is just the beginning and I’ve only begun to scratch the surface. DHLA: What’s your music prediction for the next two years? SB: I am feeling very positive about the South African underground music scene in particular. I foresee a lot of international exchange programs. I believe the market for more alternative music events is also growing at an alarming rate, which means there will hopefully be less recycling and more space for new players to come to the fore. All in all, despite the exhausting politics, we seem to be on the right track going forward. DHLA: What is your advice to upcoming spinners and music collectors? We are in February, the month of love: do you share sentiments about such "celebrations"? SB:I think it is always best for people to go for what makes their hearts sing. I’ve learnt over the past two years that the pool of listeners/audience/music enthusiasts is open and wide enough for all of us to contribute musically to the space. We just have to position ourselves accordingly and relevantly. As far as the idea of “the month of love” goes, I am honestly indifferent to it. DHLA: Which 2 artists would you say have 9 lives? You know, those that seem to be able to drift away when they want only to just spring surprises at us just in time? SB: Definitely Madlib I mean, this man is nothing short of exceptional. When we speak of having nine lives, he fits the definition perfectly. From his aliases, DJ Relly Rels, MF Doom Quasimoto Beat Konductaz as well as bands/groups he has been a part of – Azymuth and Lootpack – one can never really be a digger and not know who Madlib is. From Hip Hop, Jazz, Beatstrumentals and Funk, his influence is there, somewhere, doing the most. One can never really claim to have figured him (or his productions) out. Just when one thinks he has done it all and couldn’t possibly come up with something new, he does. Again and again. DHLA: Please share your social media handles? DHLA: Are you a house DJ? 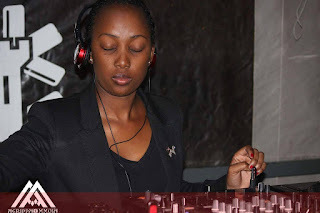 SB:I do play House music from time to time. I played a lot of it when I was still on JAM City Radio. But I believe my sets have now gravitated more towards Funk and Disco.